Postponed by one day due to Typhoon No. 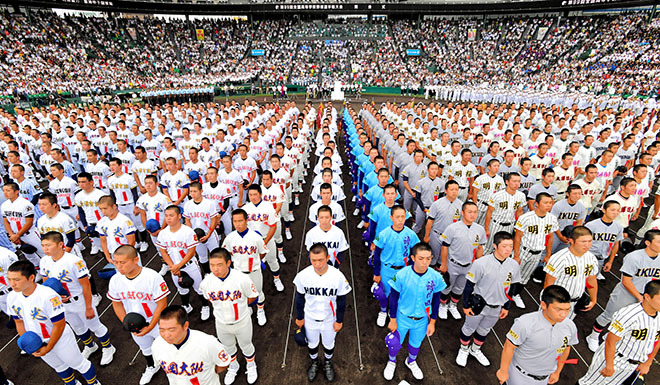 5, the 99th National High School Baseball Championship got underway at Koshien Stadium in Nishinomiya, Hyogo Prefecture on August 8, 2017. Mina Nagashima, the daughter of Yomiuri Giants Lifetime Honorary Manager Shigeo Nagashima, threw the ceremonial first pitch.